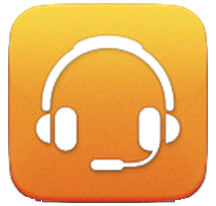 Virtual Line now supports integration with UserVoice to bring to you the best of both worlds in our new app / service. With multiple contact channels such as hotlines, email address, website forms and social media, companies can really benefit from a solution that makes tracking customer feedback and leads much easier. With this new enquiry app that integrates voice communication with the help desk system, you can now automatically convert customer calls into actionable tickets. Staff no longer need to manually key in detailed information on a spreadsheet because these tickets all get consolidated onto the same platform no matter which channel they came in through. You will be pleasantly surprised at how easy it is to set it up in just a few clicks. Hoiio is unified communication platform for businesses and professional. Started in 2007, with a mission to simplify the way we communicate, by creating cloud communications technology that is agile and alive to the changing needs of business, Hoiio is present in Singapore, Hong Kong, USA, Malaysia and Vietnam. By simplifying complex systems into elegant applications hosted on the cloud, Hoiio wants to change the way business owners and professionals set up their business communication system. Customers get to enjoy maximum flexibility and control in the shortest amount of setup time. Hoiio also provides APIs for developers who wish to build apps with telephony capabilities. Virtual Line by Hoiio, is one of the easiest and most powerful tools to create telephony solutions over the Internet, wherever you are. A customisable cloud Interactive voice response (IVR) solution that allows you to personalise your business line according to your business needs, it integrates with workflows and enables you to handle support requests more efficiently. In 2008, UserVoice was launched to build a simple but useful tool to help companies collect actionable ideas to improve their products. The team at UserVoice transforms how companies deliver customer support on the web, with more than 160,000 organizations relying on them to help support and understand their users. UserVoice is also 2013 CRM Idol Winner, beating 40 other amazing companies. ■ Feedback forums to understand the ideas users care about most. ■ A support ticket system to track and respond to customer support requests. ■ A knowledge base to answer common questions and to help users find the information they need when they need it.